Control servo motors with a joystick module connected to an Arduino. When the joystick module moves in the horizontal or in the vertical direction, it gives us values from 0 to 1023. So we can apply a condition in the code that if the value is less than 300 or greater than 700, then the servos will move. 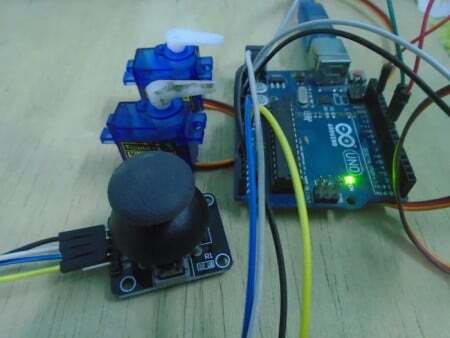 When the joystick is moved in the horizontal direction, the first servo will move towards right or left and upon moving the joystick in the vertical direction, the second servo will move towards the right or left. First of all, we included the library for the servo motor which will help us with making the code easier. Then, we initialized two variables, one for each of the two servo motors which will help us in using the library functions. Then, we initialized the pins where we have connected the vertical and horizontal pins on the joystick module and also the signal pins on the servos. 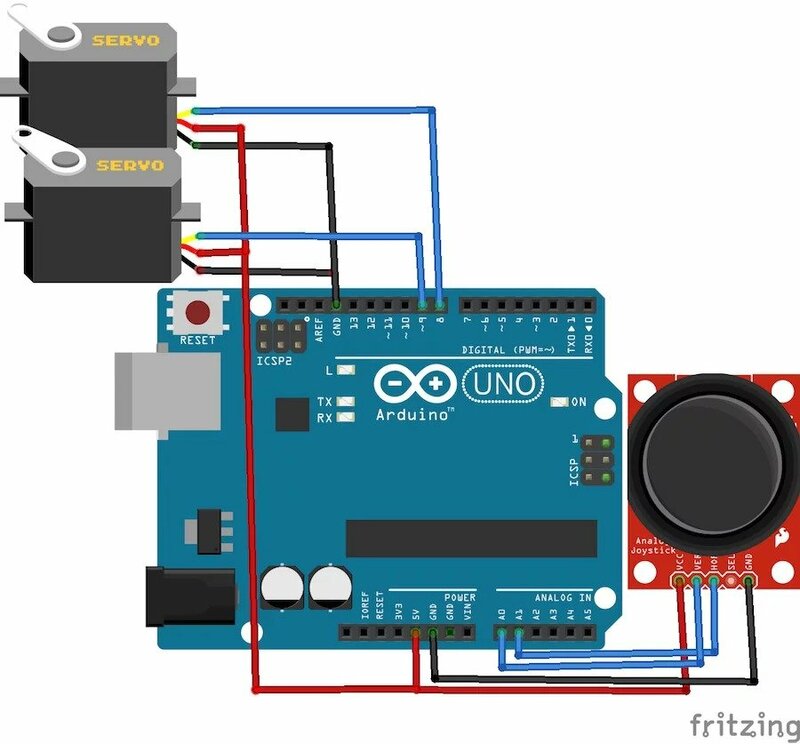 Then we tell the Arduino where we have connected the servo pins and also moved the servo motors at the initial position, which is 90 degrees. After that, we declared both the vertical and horizontal pins on joystick module as the input pins. In the loop function, we read the values for the horizontal and the vertical position from the joystick module and saved these in the variables. Then we applied a condition that if the value for the horizontal position is less than 300, then the first servo will move towards the right. If the value for the horizontal position is greater than 700, then the servo will move towards the left. 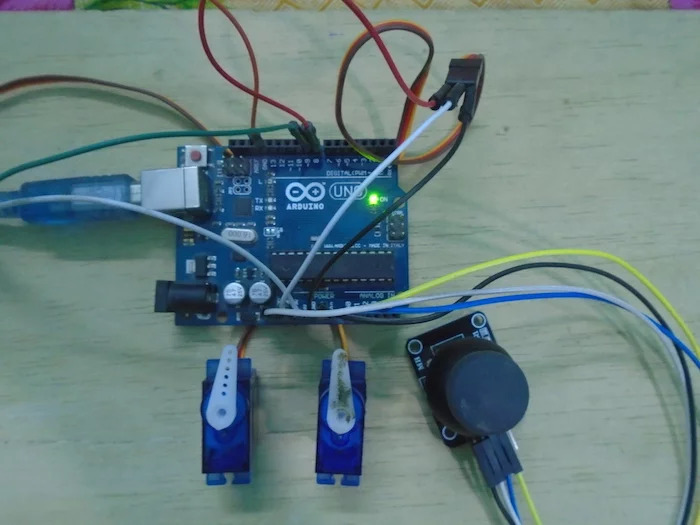 Similarly for the vertical position of the joystick module, if the value is less than 300, then the second servo will move towards the left, and if the value is greater than 700, then the second servo will move towards the right.